Have you fallen in love with the BBC Show Line Of Duty? You would not be the only one. 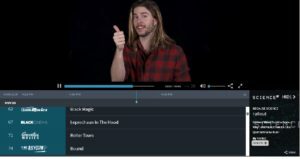 interest in British drama and comedy has been growing for the past decade and today Acorn TV, North America’s largest streaming service focused on British and international television announced it will be the exclusive home of the U.S. Premiere of season 5 of the series. 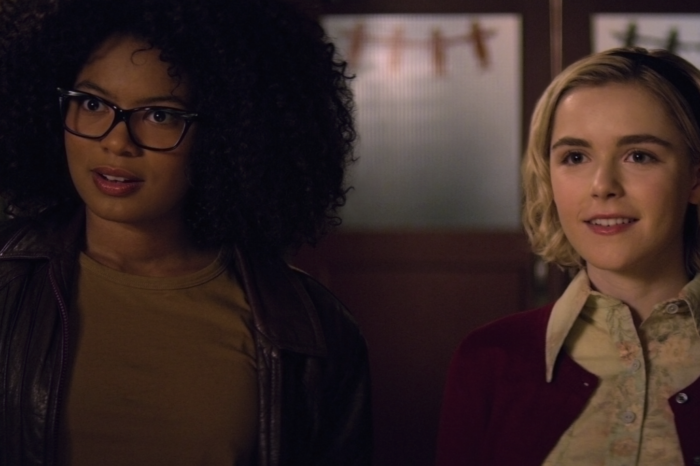 Season 5 will feature six episodes and make its exclusive U.S. Premiere on Acorn TV in 2019, coinciding with its BBC One premiere. 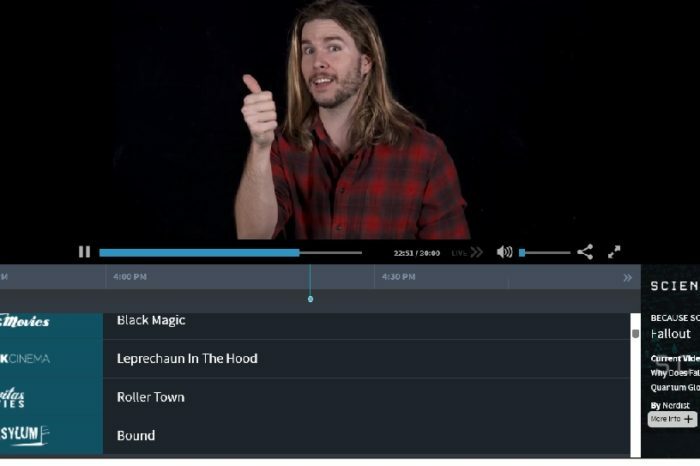 Season 5 marks the first time Acorn TV has featured the exclusive U.S. Premiere of the series. Season 4 of the BAFTA-nominated crime drama was its most successful yet. For the first time, Line of Duty aired on BBC One, where it attracted an average audience of 8.2 million viewers. 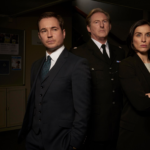 Growing across its run, the series four finale was Line of Duty’s highest-rated ever with a consolidated figure of 9.9 million viewers, placing it among the top five dramas of 2017 across all UK channels. Acorn TV currently has the first three seasons to stream anytime and adds the fourth season with featured guest star and 2018 Emmy®-award winner Thandie Newton (Westworld) on Monday, November 26, 2018. Season 5 features John Corbett (Graham) and Lisa McQueen (Rochenda Sandall, Girlfriends, Broken), two pivotal figures in a deadly organized crime group. Known to have links with corrupt police officers and suspected to be under direct command of the shadowy figure known only as ‘H’, Corbett and McQueen become persons of interest to AC-12 following an explosive chain of events. 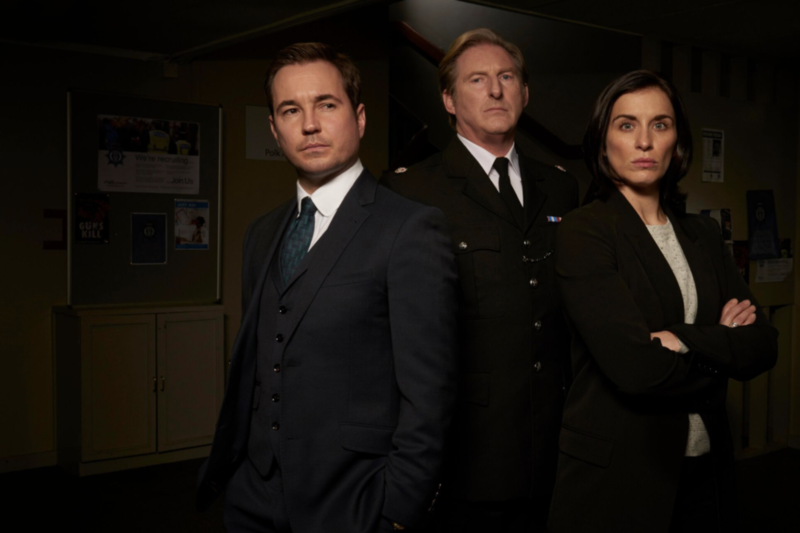 Joining regular series lead stars Vicky McClure (DS Kate Fleming), Martin Compston (DS Steve Arnott) and Adrian Dunbar (Supt. Ted Hastings), the new season will also see the return of Maya Sondhi as PC Maneet Bindra, Polly Walker as Gill Biggeloe, Aiysha Hart as DS Sam Railston, Tony Pitts as Det. Ch. Supt. Les Hargreaves and Andrea Irvine as Roisin Hastings. They will be joined by Line of Duty newcomers Taj Atwal (In The Club, Stella), Richard Pepple (Motherland, Beasts of No Nation) as new regulars PC Tatleen Sohota and PS Kyle Ferringham, alongside Susan Vidler (Shetland, The Coroner), Sian Reese-Williams (Hidden on Acorn TV), Ace Bhatti (Bohemian Rhapsody, No Offence on Acorn TV) and Elizabeth Rider (Informer, Doctor Foster). Filming on Line of Duty Season 5 (6×60′) is now underway in Belfast. Produced by Ken Horn, Line of Duty‘s executive producers are Jed Mercurio, Simon Heath and Priscilla Parish for World Productions (part of ITV Studios), and Tommy Bulfin for BBC One. The series will be directed by John Strickland and Susan Tully.